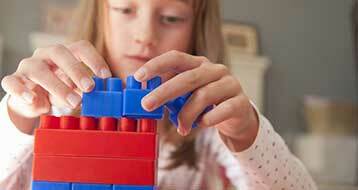 HOW TO IDENTIFY IF YOUR CHILD HAS OCD? Obsession Compulsive Disorder refers to a situation in which children obsess over thoughts, mental images or recurrent visuals, strong urges that they just cannot seem to get out of their head. When a child has these thoughts, he might also feel very anxious or fearful. If children have unwanted thoughts or compulsive behaviour, or both, which don’t go away and which interfere with daily life, they might have obsessive compulsive disorder (OCD). Feeling that something terrible will happen if your books aren’t in the right order. Many children have obsessions and compulsions. They can be a normal part of children’s development. For example, your child might go through a stage of wanting his bedtime ritual to be exactly the same every night. Obsessions and compulsions that don’t get in the way of your child’s or family’s life aren’t usually anything to worry about. Obsessive thoughts and/or compulsive behaviour that last for more than six months. A calm place where your child can do activities that distract her from worries. Playbox Play Concepts Pvt. LTD.
MY BURROW is strictly for toddlers aged 2-4. MY MAZE is strictly for kids aged 5-9.